Our body is our most valuable possession. Isn’t it worth a small investment to keep it running for years to come? Massage promotes better health, in the same way as eating right and exercising. At Moonstone Massage Therapy, we are committed to performing quality massages, while building relationships with those who value their health and well-being. Established in 2013, Moonstone Massage recently expanded its practice to 1531 Westbrook Plaza Drive, Suite G, in Winston-Salem. This facility allows us to offer high-quality massage directly to our clients and provide a studio for other wellness-minded professionals; it also allows us to host workshops for our clients. We would love to give you a tour of the space. Now on the first floor! Three new couples rooms where you can enjoy a couples massage and facial. When Chelsea was younger, she desired a career that would make people happy and feel good. As a gift, she received a gift card for a massage, which she saved for a “rainy” day. Following one particularly challenging day, Chelsea decided to use her gift card. After her massage, Chelsea realized how much better she felt! From that experience, she decided she wanted to be the light in someone’s day, just as her own massage experience had been for her. Chelsea became a massage therapist almost four years ago. Within a few months, she started her own practice! Chelsea set a goal to make her clients’ experiences special so they would look forward to their visits. 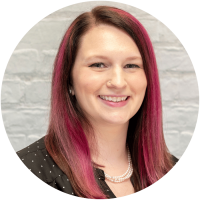 Chelsea is a proud native of Winston-Salem – born and raised here, and a graduate of RJ Reynolds High School and Living Arts Institute. Her massage therapy focus is on cupping therapy. The cups allow for “deep” muscle work, but without pain. Chelsea does not like hurting people! Clients enjoy quick results from cupping therapy. 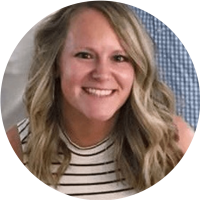 When she is not providing massage therapy, Chelsea enjoys spending time with her husband and their fur babies, Shiloh (a dog) and Socks (a cat). One of her favorite pastimes is “glamping”—glamour camping in a camper! She also enjoys visiting local wineries (sweet wine, please!) and anything to do with flowers. Two facts you might not know about Chelsea: she has never had a cup of coffee, and she is afraid of bees…but not snakes! 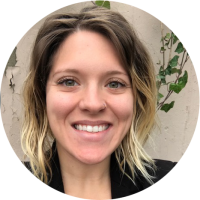 Chelsea is incredibly grateful for her business and her clients, without whose support it would have been impossible to open Moonstone Massage – when she was only 23 years old! Moonstone recently celebrated its five-year anniversary. Chelsea says, “Moonstone is truly a dream, my biggest accomplishment, and my best teacher.” *No longer accepting new clients. Kristy is from North Carolina and graduated from the Living Arts Institute in 2011 and has loved helping people ever since. She incorporates different modalities to make sure her clients get the best care. Massage is not a one size fits all and each session will be specific to her client’s goals to help them feel their best. She loves knowing that she can make a difference in someone’s life with the healing touch of massage. When she’s not working she’s spending time with her wife and two pups Marley and Kyleigh. They love to go on adventures locally and travel out of the country any chance they get. Courtney is from the small town of Mount Airy, famously known as “Mayberry” from the Andy Griffith Show. 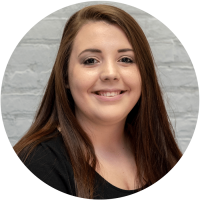 A graduate of North Surry High School, she has spent 3 years working in the front office setting of Spa’s and has loved every relaxing second of it! Courtney is currently planning her dream wedding to her high school sweetheart, Bret. They both share a love of football and traveling. During football season, they can both be found in downtown Charlotte rooting for their favorite team the Carolina Panthers. When the season is over, they enjoy spending their free time traveling to new places with their Maltese puppy, Koda. Jumana is a gentle massage therapist and caretaker, specializing in deep tissue massage, where she works together with her clients to accomplish a wonderful experience and improve their quality of life. Her main goal is to leave her clients feeling relaxed and revived. With Jumana, you will enjoy the soft sounds of ocean waves accompanied by aromatherapy with an essential oil of your choice. 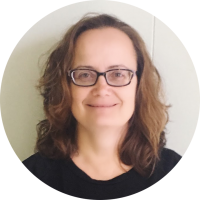 Jumana is a native of Winston-Salem; she is relatively new to the massage therapy arena, graduating from Living Arts Institute. She joined this field with the hope of helping people and making a difference in her client’s everyday lives. When Jumana is not busy making folks feel their best, she can be found relaxing at home on the couch with her cat, Bruce, and enjoying one of her favorite shows on Netflix. One fact her clients probably don’t know is that Jumana has a twin sister! Best massage I’ve ever had! Jumana applied the perfect amount of pressure I needed & worked out every little kink in my body! Would definitely recommend! Nikki has been a massage therapist for 13 years. She specializes in: Deep Tissue, Trigger Point, Swedish, Prenatal, and Hot Stone. 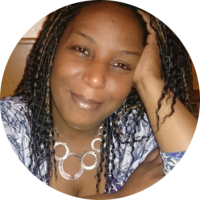 The desire to bring healing to clients in pain or under stress and provide relaxation is why Nikki became a massage therapist. A great relaxing experience. If you want to feel better, and improve your overall health. Give this spa a try! Because our muscles are all connected, Naomi believes in the full body approach of massage. 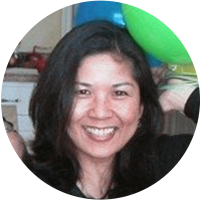 She specializes in therapeutic, deep tissue massage while incorporating myofascial release, trigger point therapy, movement, and sport massage to alleviate pain, and relieve tension and stress. 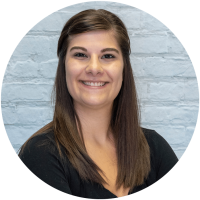 She has helped clients find relief from frozen shoulder, low back pain, TMJ disorders, and chronic headaches. Naomi has lived in three different continents, traveled all over the world, and now calls Winston-Salem her new home. 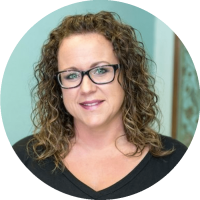 She graduated from Lexington Healing Arts Academy in Lexington, Kentucky, and has been a nationally licensed massage therapist since 2012. In her free time, she and her husband enjoy watching foreign films, listening to music, and exploring all the wonderful places North Carolina has to offer. The best massage of my life with Naomi. I was so relaxed afterward I had to will my muscles to move. Amazing! Shelly graduated from Leon’s Beauty School in 2013 with her cosmetology license and has recently gotten certified to do eyelash extensions and eyelash lifts. She is currently finishing up a degree in marketing at UNCG. In her free time she enjoys hiking with her Pomeranian, Sophie, and spending time at the beach. I had a facial and it was wonderful. Best facial I have ever experienced!! Her expertise gets right to the core of muscle tension….she makes it flow right out of your body. Crystal was lead to massage therapy after her move to NC from her home state of Wisconsin. She received her license in 2015 from Coastal Carolina Community College in Jacksonville, NC near Camp Lejeune. Crystal offers prenatal, Swedish, hot stones, deep tissue, cranial sacral therapy, and Reiki. She enjoys spending time with nature and her family. Amazing results will continue to schedule an addition to my medical treatment for pain and relief from years of sedentary lifestyle as a result from major depression. They provide a very safe and compassionate service! Thank you so much Crystal see you soon!